Fortress Of Freedom Board :: View topic - Twenty6Hundred Rocks The Bovine! Posted: Mon Mar 23, 2015 5:30 am Post subject: Twenty6Hundred Rocks The Bovine! By Shane Murphy. 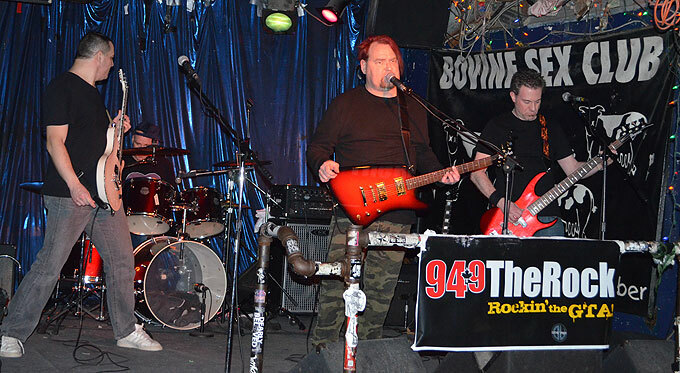 A&R: FOF Inc. / FOF RECORDS Inc.
Twenty6Hundred rocked the Bovine on Sunday night (March 22, 2015). The band played to a packed house located in the trendy Queen Street area. Music was mostly from their latest album Electric For All but they ventured out of the album once or twice. The Bovine is one of those bars that keep you up and close to the action, and tonight Randy's drums got some serious notice. Apart from the performance the set change to 10:00pm instead of the harder time of 2:00am was welcome and hopefully nobody was inconvenienced by the late change of times. But that is the life of a band, nothing is certain and everything is in flux and when a slot opens up at a better time then you take it! 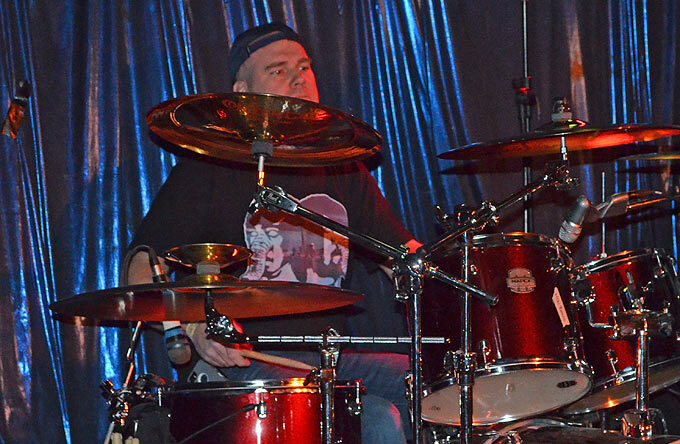 Randy on drums at the Bovine!